Water rent is now due for the year 2010. Invoices have been issued by post. Please pay promptly including any arrears due. If you have difficulty in paying your water bill please contact any member of the committee to discuss the matter in confidence and the options available. You are reminded to please conserve water and not be wasteful with this precious resource. There is a high cost in providing quality treated drinking water. It is in the interest of everyone connected to the scheme to check, report and repair leaking pipes, taps, drinking troughs etc…, This will help us to keep costs down and keep the water rent payable as low as possible. The committee to arrange Glenhest Group Water Scheme was formed with Gerard O’Hora C.C., Chairman; Jackie Mullarkey, Seán O’Cionfhaola and Martin McManamon as trustees; and committee members Pat Marley, Michael Mulhern, John Forrestal, P.J. Gillespie, Jackie Keane and Theresa McCormack. 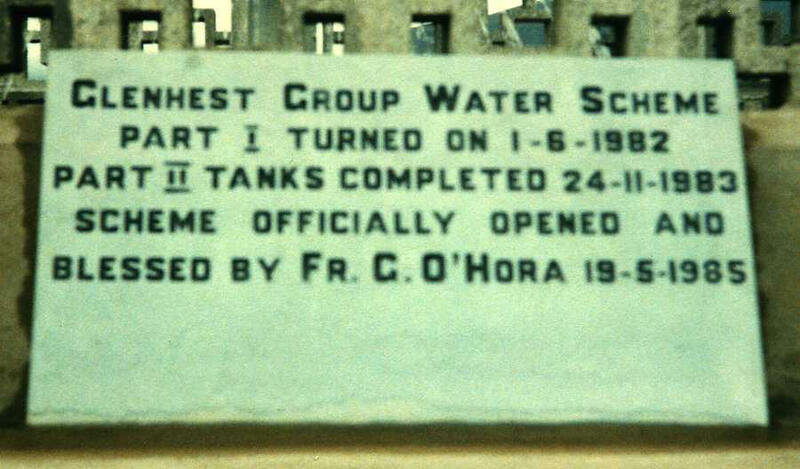 In 1978 a water committee had been formed under Fr. Gerry Gillespie as chairman but little progress was made as no suitable source could be decided on. The committee set out to collect a local contribution from all households interested in joining the scheme and applied for grant aid from the department of the environment. 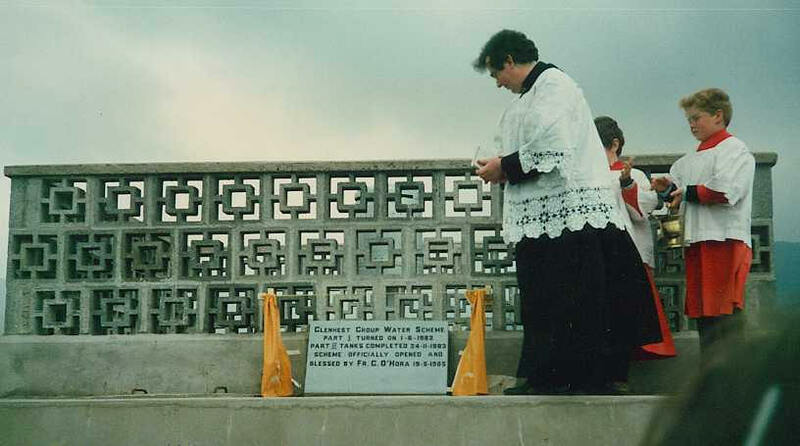 The committee collected £31,000 and on the 15th September 1981 Mayo county council approved the installation of the scheme. The contract was awarded to Pádraig McTigue Contractors Ltd., Tullycommons, Castlebar and work commenced on the 5th March 1982. Two diggers on tracks, a tractor and four men made up the team. They set about laying 24 miles of pipe through all types of land, roads and rivers finishing up in the river in Glendorcha on the 1st June 1982. They initially connected 118 houses to a temporary intake from the Glendorcha river. 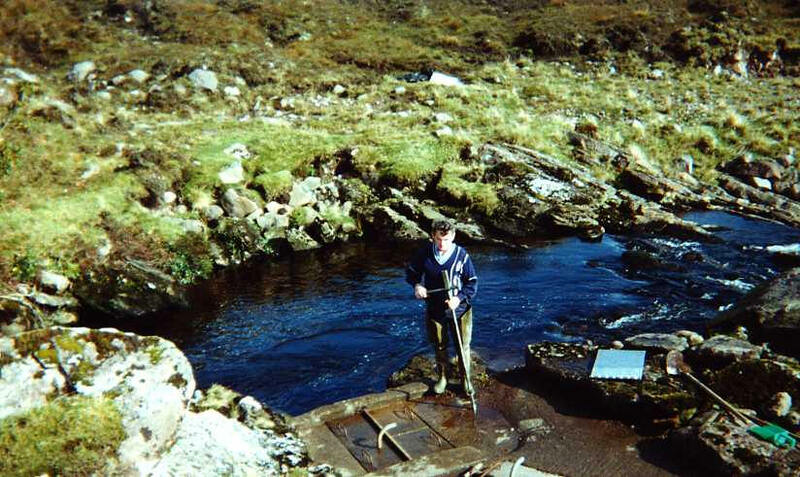 It was a very happy day for the householde when the water flowed from the taps on 1st June 1982 completing phase 1 of the Glenhest Group Water Scheme. Phase 2 of the scheme involved the building of filter tanks and a storage tank as well as a cascade for removing iron from the water. The filter tanks, storage tank and cascade were started in July 1983 and finished in November 1983. The total cost of the scheme was £115,000. The scheme was blessed and officially opened by Gerard O’Hora C.C. on 19th May 1985.